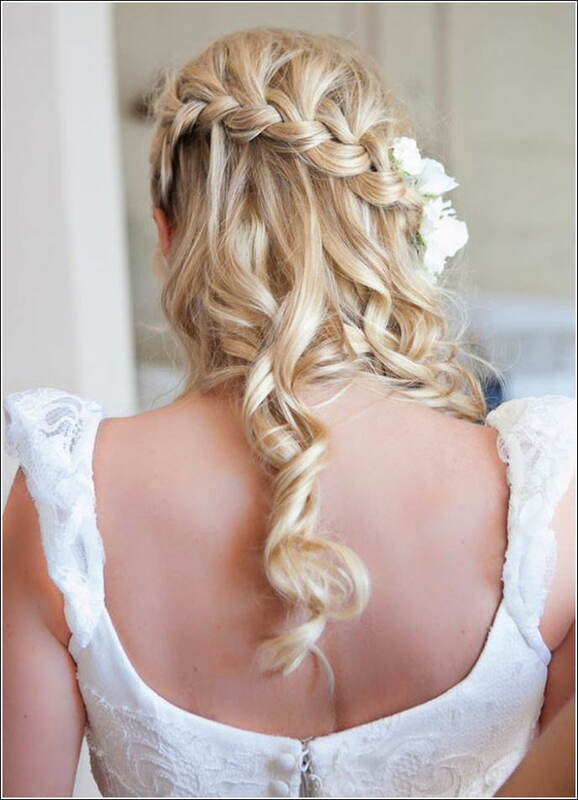 No hairstyle can be ideal than this for a bride who wants her hair to be tied and left open at the same time. This one is a curled updo with the hair teased at the crown. 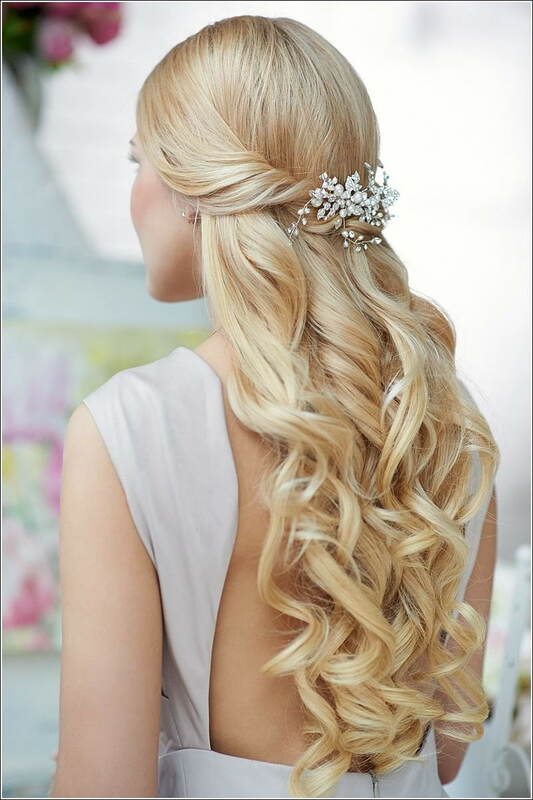 A few white flowers added to this hairstyle are all that was needed. If you have long hair then this hairstyle with hair from the sides twisted and fastened in a clip along with loose curls is meant for you. 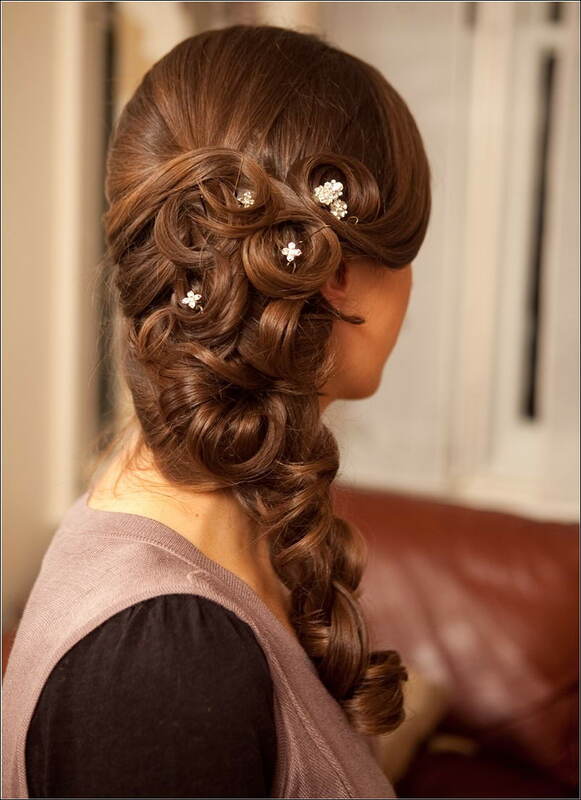 This one is again a striking updo for a bride. Long hair can also be given this look by rolling the hair in this way and fastening the hair from above loosely into a barrette. 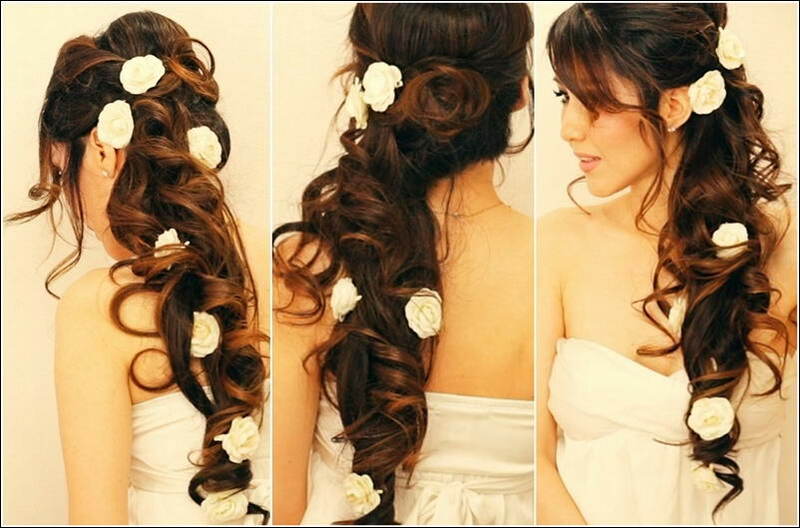 This hair style has a diagonal waterfall braid combined with curls at the back. At one side a few white flowers are also added to make it yet more graceful. 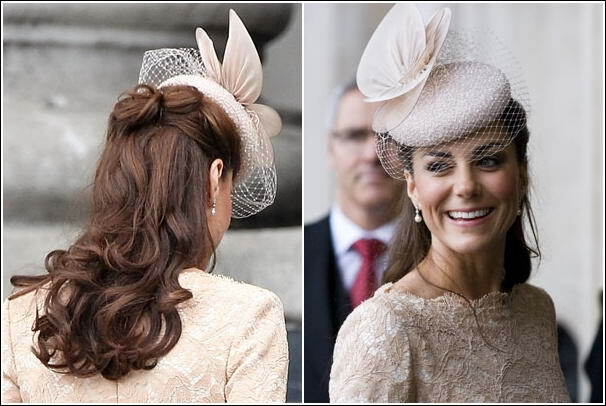 When it comes to hairstyles then who can miss talking about Kate Middleton. This hairstyle of her combines twists with curls and the fascinator is the best accessory complimenting this half up half down updo. This one is another updo of Kate with the hair fastened above with tiny clips and a mix of straight and curled hair is at the bottom. 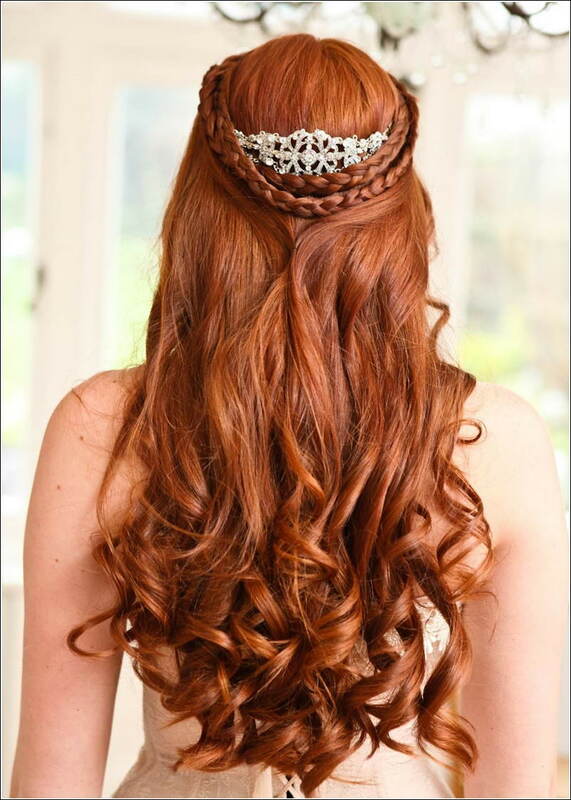 This romantic and fairytale like updo is made with two braids having a crown in the centre with the hair curled at the lower part. This hairdo is a blend of twists with a curled braid cascading at one side. 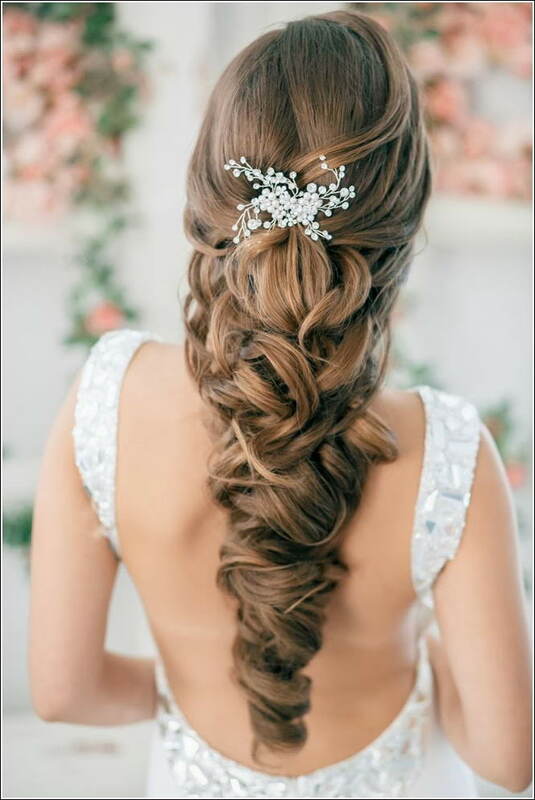 The twists are centered with tiny rhinestone crystals that are making this already spectacular updo even more chic.